My father once told me that if one of us – his children – ever got sick with cancer, he would stop what he’s doing and sell everything he owns to help pay for treatment. That’s what fathers should say. It was not unexpected to me. It was not a surprise. It was just my dad being the kind of father he is. Recent national news got me thinking about this idea again. Shortly after news of Bowe Bergdahl’s release after being held captive by the Haqqani, a Taliban organization in Afghanistan, the media did what it does best. First there were photographs of Bowe’s parents’ Rose Garden visit with President Obama. 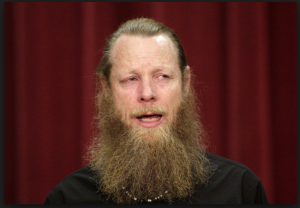 The bushy bearded Bob Bergdahl looked like a mountain man, which isn’t hard to imagine with his rural Idaho existence. But his beard wasn’t as controversial as his actions have been since his son was captured in 2009. Bergdahl learned Pashto and Urdu, languages spoken by Bowe’s captors. He invested himself in learning the politics of sharia law, and he sunk himself into the culture of Afghanistan, as violent and war-torn a place as you can imagine for nearly its entire history. Bob Bergdahl became an activist and eventually an anti-war spokesperson who uses his Twitter account to plead for the release of other captives around the world, both military and non-military of the course. And after the media excoriated Bob’s actions with little context, the lawmakers and pundits started weighing in about patriotism and the value of exchanging an alleged “traitor” for a bunch of allegedly dangerous Taliban soldiers. My point actually has nothing to do with Bowe Bergdahl’s alleged desertion. If he deserted, then he must face whatever repercussions come with his actions, but that is up to the military to decide. This does have to do with the idea of patriotism though. Thinking back to my father’s statement about giving up everything if one of us ever had cancer, I realized that any good father would divest himself of his life for the safety and security of his children. I can only surmise, but if I was in a similar situation to Bob Bergdahl, and my son was held captive by a group of people whose customs and languages were not familiar to me, I might try and learn them too. I would want to communicate with them. I would want to try and understand their mindset, to get inside the place where my son was. Because as a father, there can be nothing more helpless than not being able to be there for your child. It doesn’t matter that Bowe may have deserted. As fathers, we don’t get to rationalize our actions based on the behaviors of our children. Our purpose is to love and protect them completely. Is it strange that Bob Bergdahl became and anti-war activist in the years his son was being held captive in Afghanistan? When you learn something, be it another language or another culture, you come to understand something beyond your own experience. This often leads to a change in ideas and attitudes previously held. For Bob to delve deeply into the lives of his son’s captors is to become well-aquatinted with the horrors of a place that has been constantly at war for more than three generations. Is it any wonder a man could become anti-war? And what if Bob Bergdahl converted to Islam as some are suggesting? What does that say about the situation? If it’s true, and I, as well as you, have no way to know this, then I say that Bob has a true father’s heart. The lengths he was willing to go to see to his son’s safety are pretty outstanding. The man studied Pashto and Urdu over the course of five years to be able to understand his son’s captors. My son is going to China in a few weeks. He’ll be in the west of the country, in a region that has been torn apart by violence and ethnic division. If he were somehow captured and held against his will by Uighur Muslims, would I try to learn their language and customs? I hope so. Would I empathize with them and their cause? Because as a father, the safety and security of my children come first. Their safety and security come before my patriotism. I know those are strong words, but I can’t put an ideal like patriotism above the care of my children, for fear I could be led astray by policies and falsities contrived for economic purposes other than the preservation of democracy. And even that–the preservation of democracy–must take a backseat to the well-being of my children. I believe in preserving the American way of life for them. They are living in the greatest nation in the history of the world at a time when there is more opportunity then people have ever experienced before. There is also peace, even in times of war, and they do not face perils that other generations have faced. Still, if society can so malign a man like Bob Bergdahl for doing what we should all aspire to, then we have already lost our ability to protect our children from at least one thing. I have no more knowledge about the circumstances of this situation than any of you, but as a father, I like to think that I might do the same thing. And as a father, I know that my actions probably will be taken out of context, because unless you are in my head, you have no context. We have no context for Bob Bergdahl’s actions, but if he was acting on behalf of his child in the way all fathers should act, then we should consider our judgement of him in light of the fact that we may one day be in the same shoes. Previous PostWelcome to the Middle GroundNext PostIs This Seat Taken? I’m completely in agreement with you, Catherine. It seems in this country that questioning certain things definitely calls in to question your patriotism. It’s just sad that most of our greatest historical heroes were at times anti-war and yet very, very patriotic. Being anti-war or even converting to Islam is one thing… but here’s something your article doesn’t address. He goes well beyond that when he does things like retweeting Arabic articles about the mujahideen attacking US forces and killing soldiers (see 28 May retweet of Ahmad Khan) and tweeting about getting all GITMO detainees released and how God will repay the deaths of every Afghan child. It goes without saying there’s something quite ominous about how far the man has gone, mentally. You’re right, Jeffrey. I didn’t address much of the speculation around Bergdahl’s Tweets. I looked at all his Tweets, and they weren’t really out of line with someone who has become very anti-war as a result of a traumatic experience. However, there are a few that stand out as outliers, one of which was deleted shortly after it was posted. Social media, as with anything else can be really taken out of context. It may be that this guy went down a rabbit hole from which he can’t return. He wouldn’t be the only person in this country who has adopted radically different views after going through something as severe as having a child kidnapped. And my article really wasn’t meant to address all of those things. It was a thought about how far we go as parents to protect our children. It was an attempt to look at this through a different lens than the sometimes over-speculative media and blogosphere. Of course this post is somewhat speculative in its own right.